PM Studios and acttil are thrilled to announce two incredible titles hitting North American store shelves this spring. 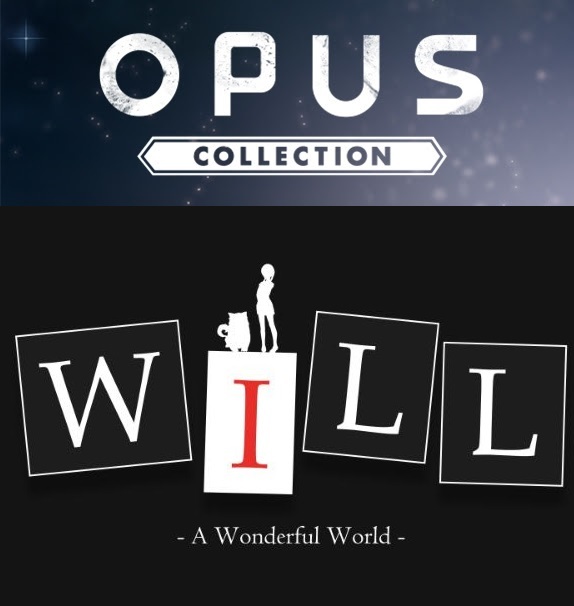 OPUS Collection, which contains both OPUS: The Day We Found Earth and OPUS: Rocket of Whispers, will be coming to Nintendo Switch this April and will feature a voucher code for an awesome downloadable bonus soundtrack. Meanwhile, WILL: A Wonderful World will receive a physical release for both Nintendo Switch and PlayStation 4 this May, and will retail for $39.99! Please see below for details on each title, and check out our press site for full press releases and other materials for each title. – Homeward Bound: Operate a deep space telescope to scan the skies for long-lost Earth…and other untold secrets. – Self Discovery: Investigate your ship to uncover the history of a centuries-old mission item by mysterious item. – Across the Universe: Explore a universe teeming with vivid and vibrant planets, nebulas, and galaxies. – Land of Ice and Snow: Travel through the ruins of a frozen world, uncovering the history of a once prosperous land as you go. – Making Space: Gather the materials you’ll need for your rocket, and craft tools to explore even greater distances. – Alien Artifacts: Uncover more than 100 items, each with unique artwork and descriptions informed by detailed research. – Aural Adventure: Roam through a beautiful, atmospheric soundscape created by indiePlay-nominated composer Triodust. There was once an urban legend: Write your troubles down on a note, then hold it in your hand at midnight and pray. “God, please help me…” God will hear your plea and change your fate. – Read stories and use deduction to determine how to alter the fate of the game’s cast. – Make decisions that open up the story and may even impact the plotlines of others. – Learn more about the two gods, the mysterious girl and her companion, as you progress through the game. – Enjoy punchy music and beautifully drawn stills and animations.